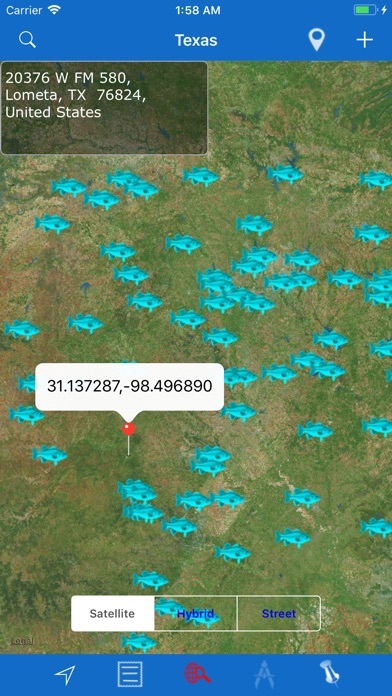 Fishing Lakes and Species application for Texas Lakes! 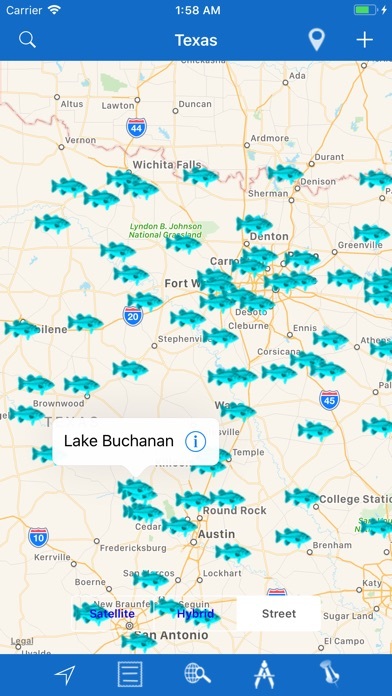 Whether you are an avid angler or trying for the first time to catch fish, our fishing lakes app is not only useful but also stocked with variety of fishing information around your place. 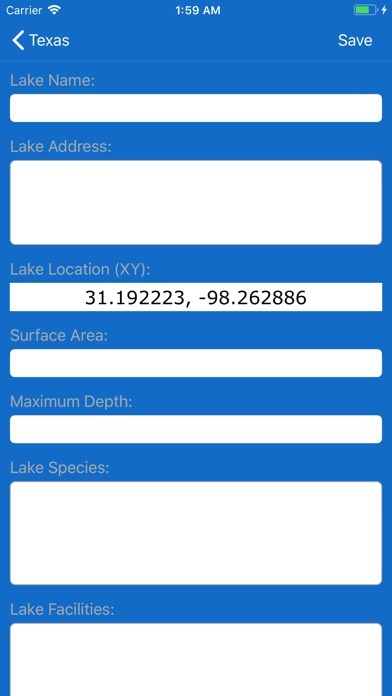 App has all the fishing lakes information up-to-date from lake depth, lake coverage, lake facilities etc ► GPS Locator and Lake Search. 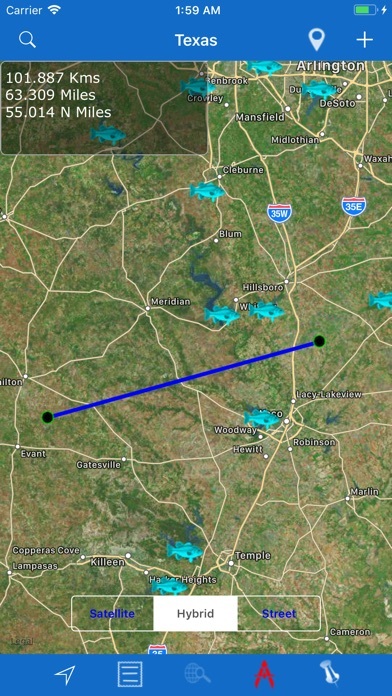 ► Distance Measurement Tool. ► Draw custom routes on map. 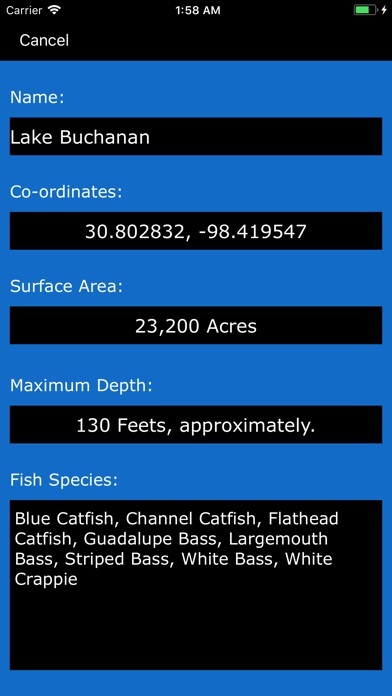 ► Add Unlimited Favorites of Fishing Spots. 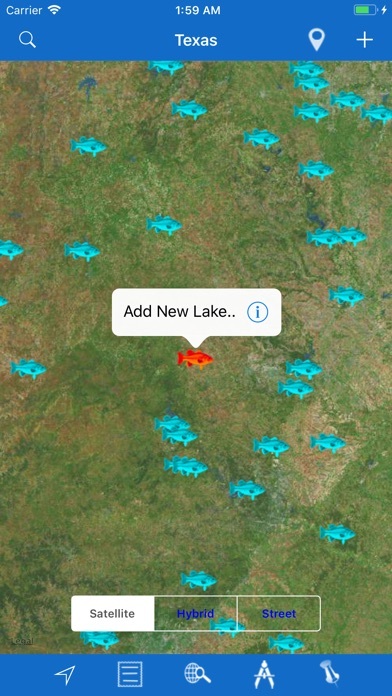 ► Add New Lakes and all necessary details. ► Share information via. Emails. ► Any location Address Finder (All over the World). ► Tag photos to Favorites. ► No internet connection required to view lake information. Also Search for nearest Hotels, Restaurants, Campgrounds, Amenities, Attractions, Picnic Areas around the Lakes. What are you waiting for? Grab the pole and be the first to create a new record fish catcher.